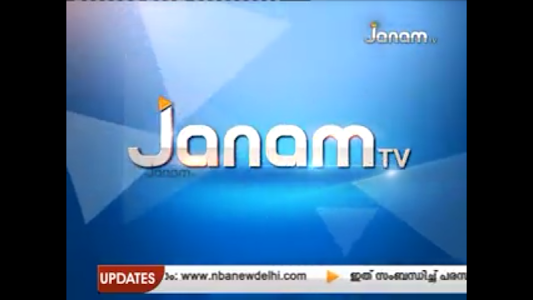 JANAM TV : The vernacular visual media in Kerala has seen a boom of sorts during the last two decades. 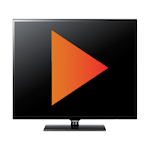 From the eighties when Doordarshan Malayalam was the lone player and the nineties when the arrival of first Malayalam private channel opened up a whole new world to the television viewers, today the Malayalam television industry has virtually come of age. Like any other sunrise industry, there is a flurry of activity and excitement all around, with new entrants trying hard to position and make themselves relevant in the crowded scene. This is not without reason. High Literacy rates and elevated socio-political awareness across all sections of society ensures more penetration by visual media in the years to come. 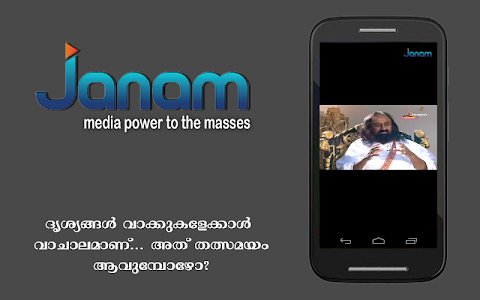 Malayalam channels have an added advantage with Overseas market esp. the Middle East. Moreover the presence of non resident Keralites are growing elsewhere too. Thus it can be safely assumed that the next couple of decades will be an era of an accelerated upward swing for Malayalam TV industry. Social relevance of JANAM: The relevance of JANAM stems from the fact that all the existing channels in Malayalam have either fixed long term agendas or tend to cater to the needs, aspirations and ‘hype’ created by the current socio-political cauldron in the state. The present media houses in the state, including channels, are being run by organized sections of the society that include political parties and influential families. They exclude the silent majority who has neither organized strength to bargain nor to raise voice even for justifiable social causes in Kerala. On the other hand, the social fabric of Kerala is fast changing where economic superiority of organized groups is now followed by efforts to dominate cultural, social and intellectual spheres as well. Anti-national forces, often backed by foreign funds are also viewing Kerala as their safest haven today. Well coordinated designs by such forces to reinvent our cultural ethos and restructure the social chemistry in the state will have disastrous consequences, if not checked immediately. Powerful tools like JANAM will definitely give impetus to nationalist forces in efforts to resist such grand designs, especially at a time when the eternal values that has defined our social fabric are under threat. JANAM, through its programs, will be the voice of the ‘Silent Majority’ and bring about enormous and collective changes in the modern society. Brand positioning of the Channel : In a nutshell, the new channel will have the right blend of right programs. It will be marketable and commercially viable on one hand, espouse and defend the true socio-cultural values of our age-old tradition on the other. However, while positioning the channel, we will take the socio-political realities of Kerala and place ourselves in the mainstream to avoid being marginalized as the political mouthpiece of any particular segment or political party. Conclusion : Launching a television channel is a very complex task that needs multi-specialty expertise. There are five major components that make the pillars of success and stability for any new channel- Technical Quality, Good Infrastructure, Strong and aggressive marketing, well packaged Content that appeals to the viewer and a Strong Distribution tie up. All these components need to go hand in hand and progress simultaneously to make the project a success. Understanding this complexity, Team JANAM is treading its path carefully. We are doing our homework earnestly with clarity of thought, to be able to professionally manage the project from the outset. 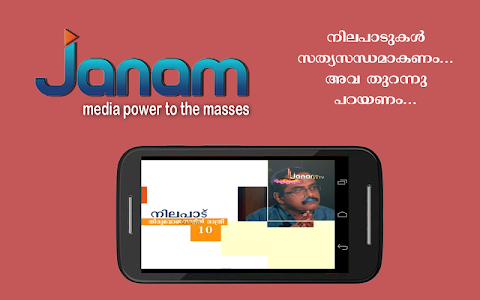 Each passing day gives us more confidence that JANAM channel will definitely emerge as an effective tool for the desired transformation in Kerala society in the years to come. 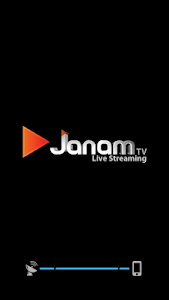 Similar to "Janam TV Live"